Visiting a reputable dentist is important, whether it's for a dental emergency or just a regular checkup. Listed below are Capital Region dentists, many of whom serve both children and adults. Before choosing a pediatric dentist, family dentist, dental care group, or oral surgeon, be sure to carefully investigate each listing so you can be sure to select the one that's right for you and your family. 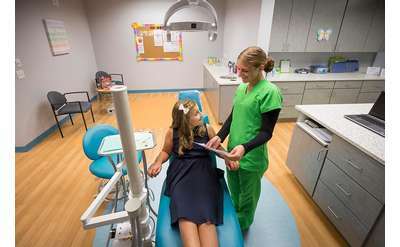 Southwoods Pediatric Dentistry specializes in providing exceptional dental care to kids and adolescents in a warm and friendly environment. Their office is based in Albany and serves the greater Capital Region, from Colonie to Loudonville and beyond. Gentle dentistry for kids and adults located in Latham, NY. At Adirondack Oral & Maxillofacial Surgery we focus on dental implants, wisdom teeth extractions and the diagnosis and treatment of injuries to the jaw, mouth, and face. With health centers conveniently located in Albany and Troy, Whitney M. Young, Jr. Health Services offers affordable, high quality medical, dental, and addictions services. We accept most insurances and offer a sliding fee scale for the uninsured.